If you’ll also be there, we’d love to meet you. Our team will be on hand to share valuable insights on how we create unique customer experiences through technical innovation and original content production. You can request an appointment to benefit from a one-on-one meeting with a member of the Stingray team. Our products are the driving force for distribution. In the United States, we signed with Altice and Roku, where Stingray Music and Stingray Karaoke will be available in Roku’s new premium subscription package, The Roku Channel. Germany Deutsche Telekom, the largest telecommunications provider in Europe, will carry Stingray Qello concerts on their new free video on demand service, the Magenta Musik 360 app. Our content catalog is bigger than ever! Listen to over 2400 curated playlists on Stingray Music. Explore an extensive catalog of classical music, pop, and rock concerts through dedicated apps and tv channels. Sing along to thousands of karaoke songs or learn to play the piano with The Piano Academy. With Stingray, you are guaranteed to get premium music content that will appeal to all music lovers! With more than 110 million downloads worldwide, we have developed a portfolio of apps that offer world-class services curated by music lovers, for music lovers. 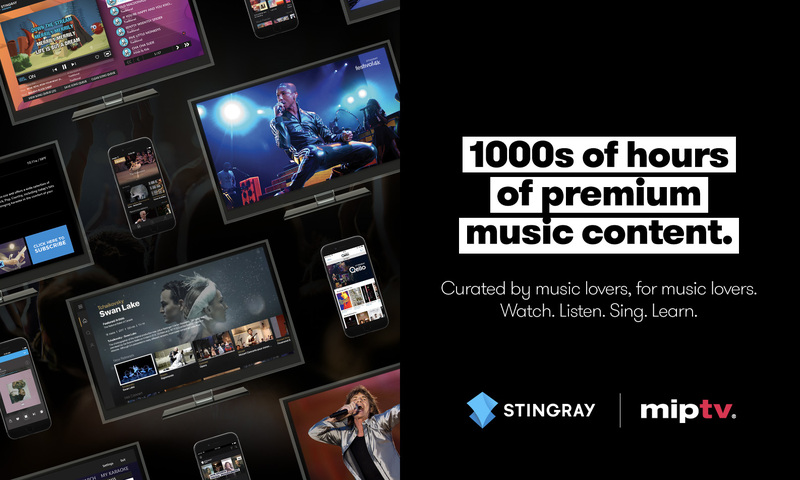 The launch of Stingray Music, Stingray Classica, The Piano Academy, The Voice and Stingray Karaoke mobile apps mark our expansion into the direct to consumer market. In doing so, we are providing complimentary services to consumers and bringing them the music they want, available everywhere.